check back regularly for the latest news, or sign up below to receive regular updates straight to your inbox. 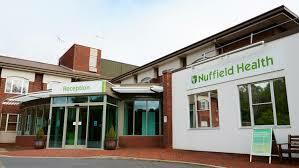 MAT was appointed after Fairfield Independent Hospital carried out a formal tender process and the board approved its business case, which demonstrated a clear understanding of the requirements and project drivers, supported by straightforward, concise project proposals that gave cost certainty and evidence of flexibility of installation to meet surgical demands. 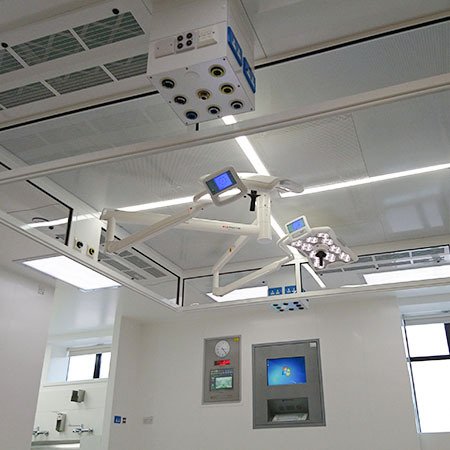 Medical Air Technology (MAT) recently completed the refurbishment of a pre-existing operating theatre complex at Bedford Hospital, upgrading both theatres 3 and 4 with the addition of ECO-flow™ Dynamic ultraclean ventilation (UCV) systems. Medical Air Technology (MAT) recently completed work on Theatres 3 and 4 in the Riverside Treatment Centre at University Hospital Lewisham, upgrading them from conventional to ultraclean as part of a Private Finance Initiative (PFI) lifecycle and upgrade programme. 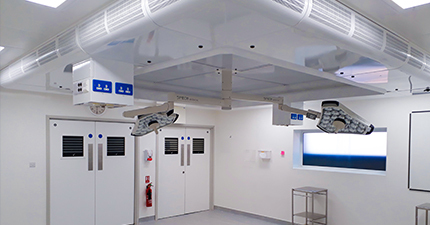 Medical Air Technology (MAT) has installed two ECO-flow™ ultraclean operating canopies at Nuffield Health Chester, the Grosvenor Hospital, working with main contractor DD Porter Construction. The new operating theatres mark the completion of the first stage in a £7 million development programme, which will enable the hospital to offer a wider range of surgery and deliver an even better patient experience through the implementation of connected and integrated healthcare. MAT FM has been awarded a 5-year critical ventilation service and maintenance contract for the Hospital of St Cross and University Hospital, both of which are managed by the University Hospitals Coventry and Warwickshire NHS Trust. VINCI Facilities is responsible for facilities management at the sites, and invited MAT FM to tender when the contract came up for renewal earlier this year, after working together successfully at Whiston Hospital in Merseyside. 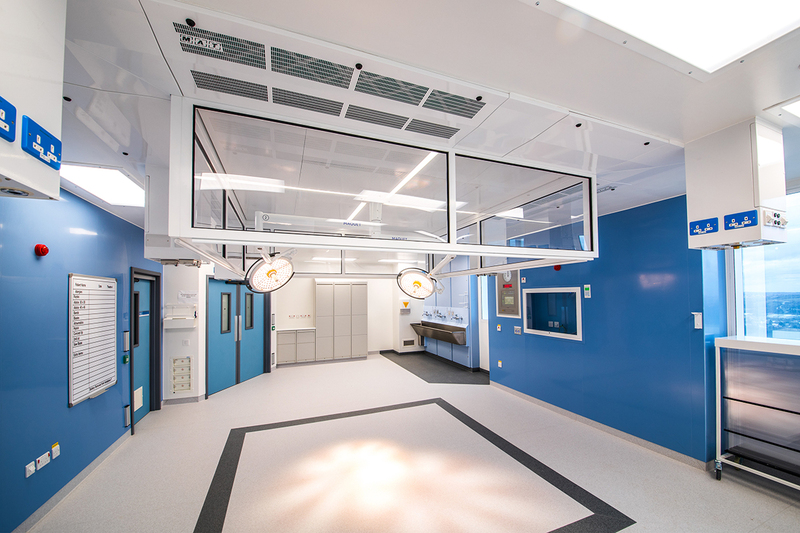 Medical Air Technology (MAT) recently completed the total refurbishment of four ultraclean operating theatres at Sheffield's Royal Hallamshire Hospital. working with Kier and NG Bailey MAT was specified for the project by Sheffield Teaching Hospitals NHS Foundation Trust. Medical Air Technology (MAT) recently completed a high specification Containment Level 3 (CL3) facility for a leading UK university that wanted to expand its research capability. 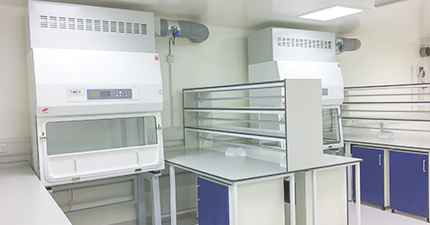 The new laboratory, situated on the top floor of the ten-storey faculty building, was partially funded by charitable donations and is part of a major ongoing refurbishment programme. 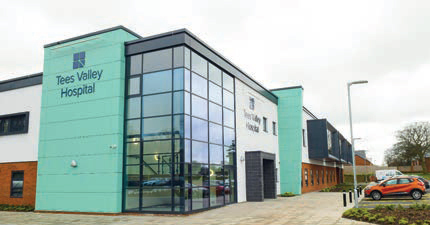 Medical Air Technology (MAT) recently completed work at Tees Valley Hospital, a brand new £23m hospital provided by WW Medical Facilities and operated by Ramsay Health Care UK, designed to be a bespoke, patient-centred environment for care and treatment. A fully functioning and compliant critical air system is crucial to the successful operation of the complex hospital environment, where downtime can be catastrophic for patients and business. 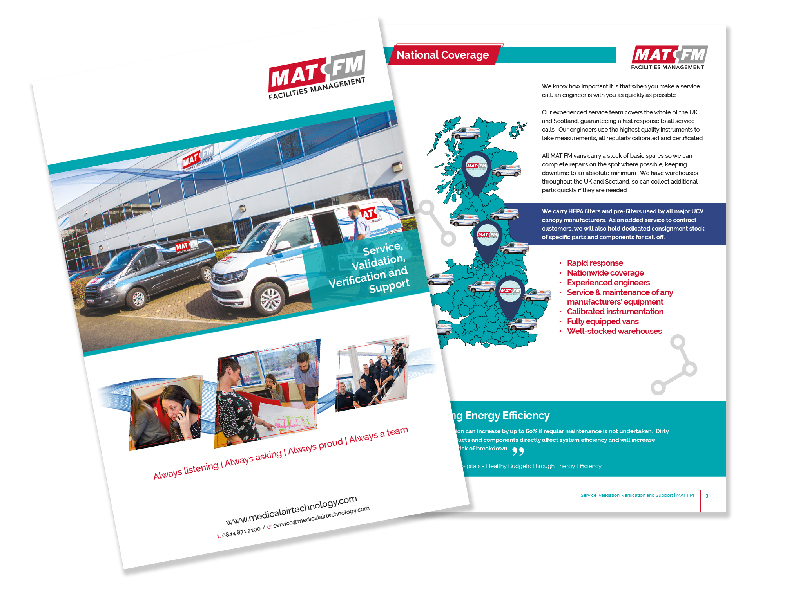 More and more hospitals across the UK are using MAT FM’s specialist tailored support service to maintain their critical air systems, whether as an aftersales service following installation of a critical air system from MAT or to service, verify and validate equipment from another supplier. After the success of an earlier project at the George Eliot Hospital NHS Trust in Nuneaton, Medical Air Technology (MAT) has completed another major theatre refurbishment and upgrade on the site, further improving flexibility and patient flow. 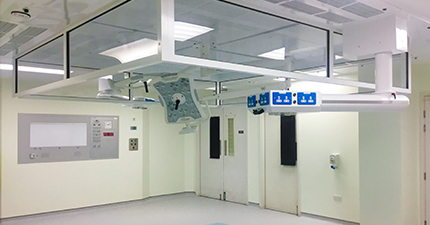 When it comes to the design and installation of a new ultraclean (UCV) operating theatre, the benefits of using a specialist contractor are wide ranging. 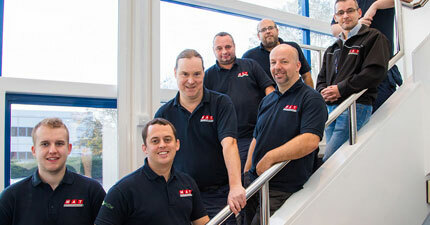 Medical Air Technology (MAT) has been providing UCV systems for the NHS and private healthcare providers for nearly 40 years and has an engineering team that leads the field in innovative design. 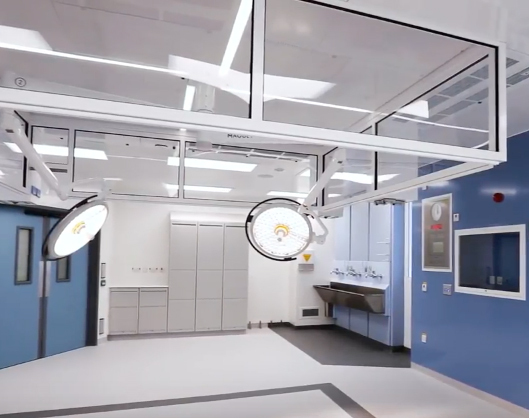 Short movie showing an ultraclean total turnkey operating theatre installation, recently completed by MAT. 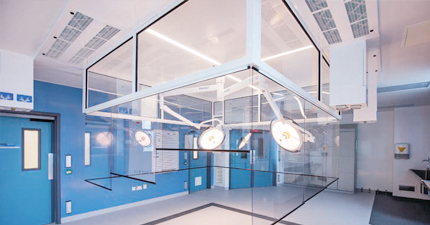 Our total turnkey packages, designed to suit each hospital's specific needs, include elements such as our ECO-flow™ UCV canopy, air handling units and alarms, steelwork, ductwork, insulation, electrics, general lights, theatre lights, surgeon’s panels, PACS unit, date points, medical gas pendants, IPS/UPS circuits, ceilings and decoration...everything needed to achieve a world class operating theatre, equipped and ready for orthopaedic surgery of the highest standard. 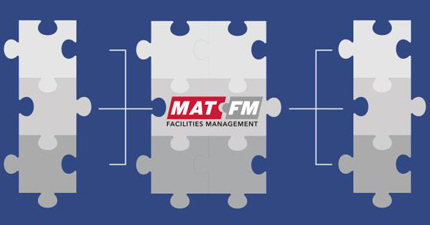 MAT FM works with the NHS, private healthcare providers and facilities management companies to deliver service, validation, verification and support for all critical air systems supplied by MAT and other manufacturers. 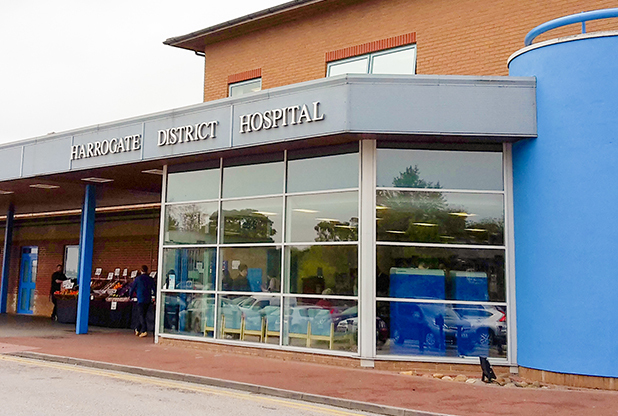 When Harrogate District Hospital, managed by Harrogate and District NHS Foundation Trust, wanted to completely refurbish and upgrade another of its operating theatres to make it suitable for orthopaedic surgery, Medical Air Technology (MAT) presented a total turnkey solution that combined competitive pricing with a world-class ultraclean ventilation (UCV) system and accompanying equipment package, ensuring patients and staff would benefit from the very best surgical facilities and supporting the hospital’s vision of providing “excellence every time”. MAT recently completed work at Fairfield General Hospital, Bury. 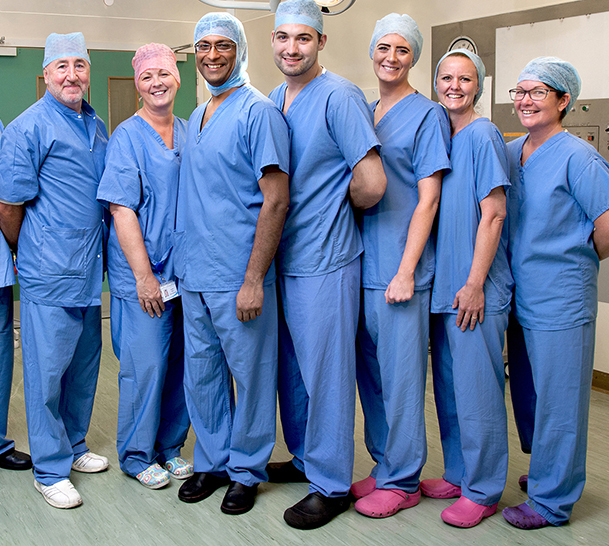 The hospital is managed by the Pennine Acute Hospitals NHS Trust and is one of the main sites for elective surgery in the North Manchester area. 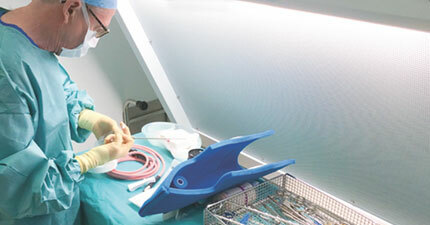 The project has doubled the number of ultraclean theatres in the seven-theatre suite from two to four and increased the hospital’s orthopaedic capacity. 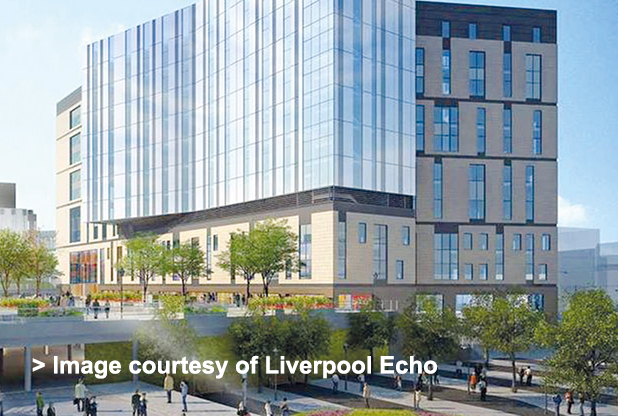 Medical Air Technology (MAT) has recently completed its work at the new and hugely ambitious £335m Royal Liverpool University Hospital, set to change the way healthcare is delivered in Liverpool. When opened, the new hospital will be the largest medical facility in the UK and will be equipped with the latest technologies throughout, whether for sharing visitor information, entertaining and informing patients, or providing clinicians with the best environment from which to deliver world-leading treatment and patient care. Click here to access past articles V1.